Product prices and availability are accurate as of 2019-04-06 22:57:14 EDT and are subject to change. Any price and availability information displayed on http://www.amazon.com/ at the time of purchase will apply to the purchase of this product. "Kids just love Susan Polgar an dher cast of characters as they teach chess the easy way. 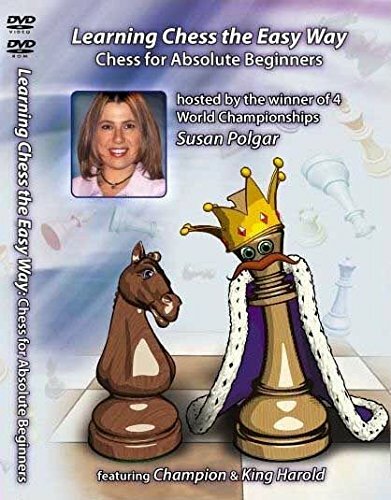 This is the best ever program made to teach beginners how to play the world s greatest game - chess. 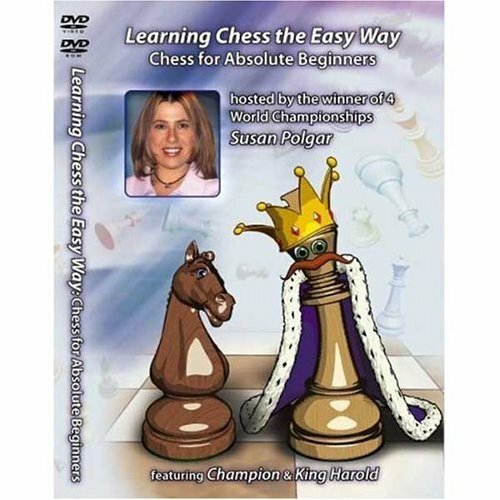 Susan, along with her teaching helpers, Champion and King Harold, set a fun stage for learning chess You will learn all the basic chess knowledge: rules, pieces, points, moves, tactics, checkmates, notations, and setting up the board Also included is a brief history of chess, a short biography on Susan, and "Fun Facts" about Chess.